Figure 1. Fink River south of Hermannsburg flowing through Krichauff Range. Width of image is about 25 km. The landscapes of Central Australia provide amazing insights into the way the waters of Noah’s Flood drained from the continent. 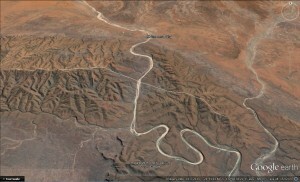 Figure 1 from Google Earth shows the area immediately south of the mission station of Hermannsburg. The course of the Finke River stands out as it snakes its way south. The pale-coloured river bed contrasts with the red, iron-stained colour of the rest of the image because it is is filled with white, quartz-sand. The large, ‘wrinkly’ area south of Hermannsburg is the Krichauff Range, and surprisingly, the Finke River flows right through that range. The flat area to the south-west of the image is Palm Valley, which is popular with tourists. The most remarkable feature here is that the river flows directly through the mountain range, rather than around it as would be expected. This phenomenon provides graphic evidence for the reality of Noah’s Flood, which elegantly explains how it happened. Mainstream geologists, although many of them went to Sunday school and church as kids, do not take the account of Noah’s Flood seriously in their professional work. Consequently they have to come up with fanciful scenarios to explain the impossible: how a mostly-dry, intermittent, river like the Finke could carve its way through high mountain ranges. Figure 2. Elevation cross section along line shown in figure 1. Width of the section is about 15 km. Google Earth is an amazing tool that can provide a perspective not possible from the ground. The thin, west-east white line on figure 1 (15 km long) shows where I took an elevation profile (figure 2) along the Krichauff Range on Google Earth. This profile cuts across the course of the Finke River. Note the top of the Krichauff Range is reasonably flat along the cross-section. This represents an earlier flat surface on the landscape which has been subsequently dissected. The top of the range has an elevation of about 820 metres. This surface would have been eroded flat by the floodwaters when they were covering the whole continent. Noah’s Flood explains these plateaus. Note the wide valley in the middle of the section. It’s about 7 km wide and 200 metres deep. This valley would have been carved as the floodwaters were receding, but after parts of the Krichauff Range had emerged above water. The continuing flow of water would have been confined to this area and eroded the huge valley. Central Australia has very little rainfall, which is why the area is arid. Hence, the rainfall would not have been able to carve this valley. Neither is the Finke River large enough to do it. It makes sense that this large valley was carved by a much larger flow of water. Noah’s Flood provides an adequate mechanism. Note the small valley through which the Finke River now passes. It’s about 700 metres wide and 50 metres deep. The sandy bed of the river is only about 300 metres wide. This valley would have been carved late in the Flood after most of the water had drained but while there was still significant volume of water left. The flow would have been larger than the water flowing in the river today. Note the changes in elevation. The top of the Krichauff Range sits at about 820 metres. The bottom of the wide valley sits 90 metres lower at about 630 metres. The bottom of the small valley sits 60 metres lower, at about 570 metres. The Finke River now sits about 10 metres lower at about 560 metres. In other words, as the floodwaters were receding the sea level was dropping. Or, as the floodwaters were receding the continent of Australia was rising. In landscape-erosion jargon, the base level was dropping. The landscapes of Central Australia are astounding, and provide stunning evidence for the reality of Noah’s Flood. The big issue that throws people off the trail is the dates that are quoted for the different geological events, dates of millions of years. However, not one of the geological features in the area has a label attached stating the date it was formed. All such dates are based on assumptions, by asserting that Noah’s Flood never occurred, and that continent-wide catastrophes never happened. Hence they assume millions of years. But when we take Noah’s Flood into account, we need to ignore the dates. The cataclysm of the Flood washes away the millions of years. We just consider the observable evidence presented in such tools as Google Earth. Then we see that the features of the Red Centre match the expectations from Noah’s Flood. That changes our perspective on the world and our understanding of our place in it.